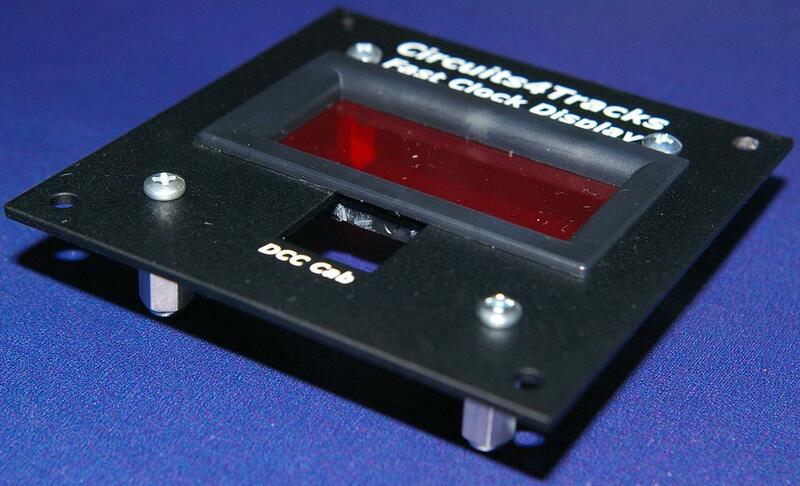 This product is for use with a DCC system by NCE. 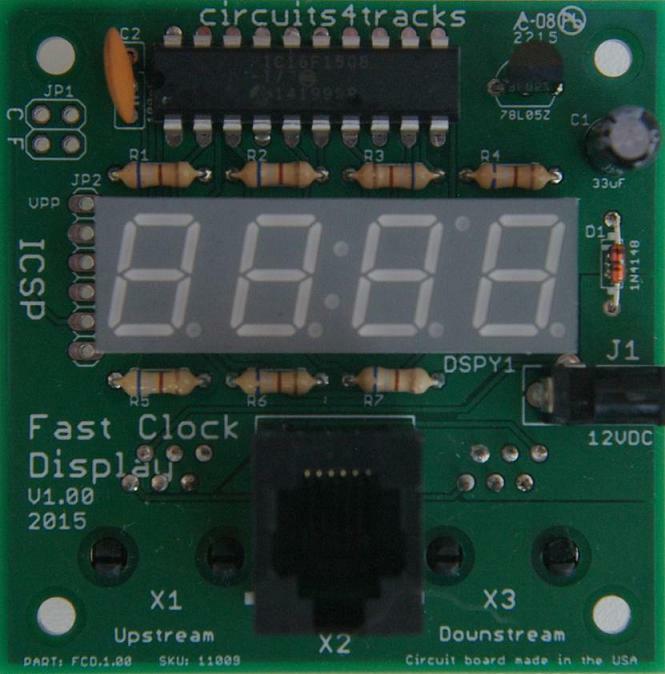 DCC systems from NCE have a fast clock feature where the command station allows setting the time, time format (12 or 24 hour), and a fast clock ratio (1 to 15). 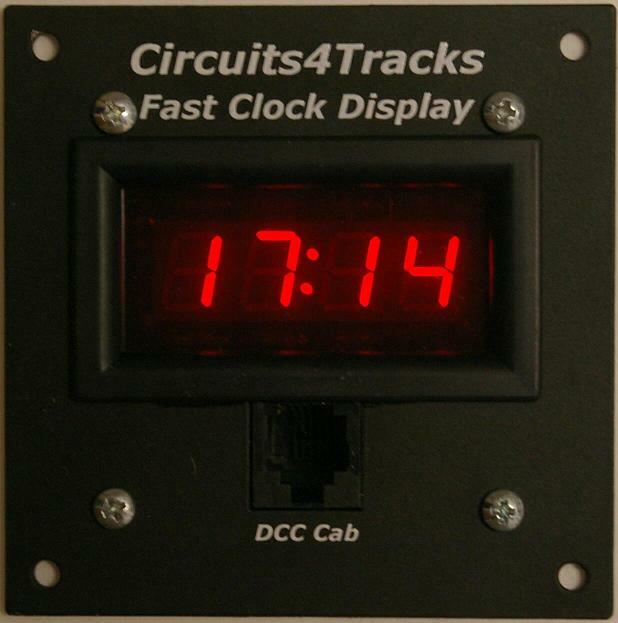 Cabs with an LCD display are able to show this time on the right side of their top line of text. See the image to the right. 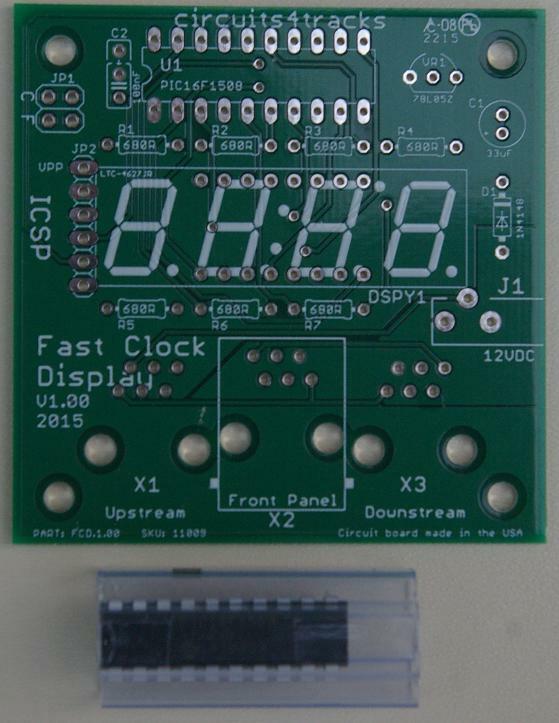 We have created a product that listens on NCE&apos;s cab bus for the broadcast of this time value and displays it on an easy to read LED display. 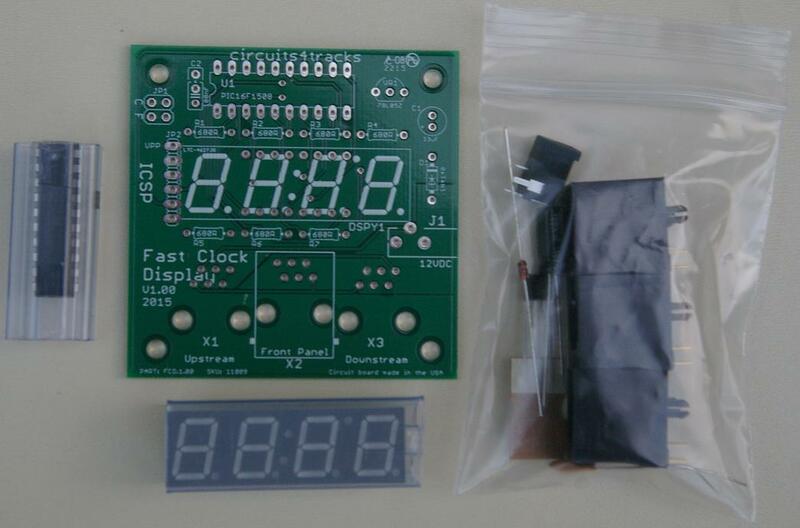 This product includes a faceplate as it is designed for installation in the fascia of the layout. It has two RJ-14 jacks on its backside for installation in line with the cab bus, and one RJ-14 jack on its front for plugging in a cab. 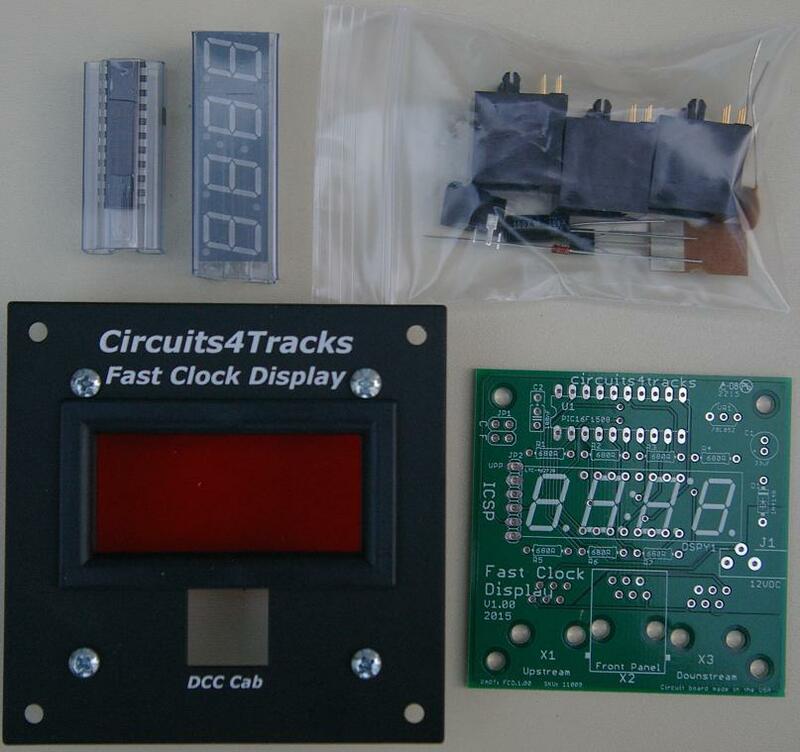 This product is only for use with a DCC system from NCE. This item can be shipped within 2-3 business days. 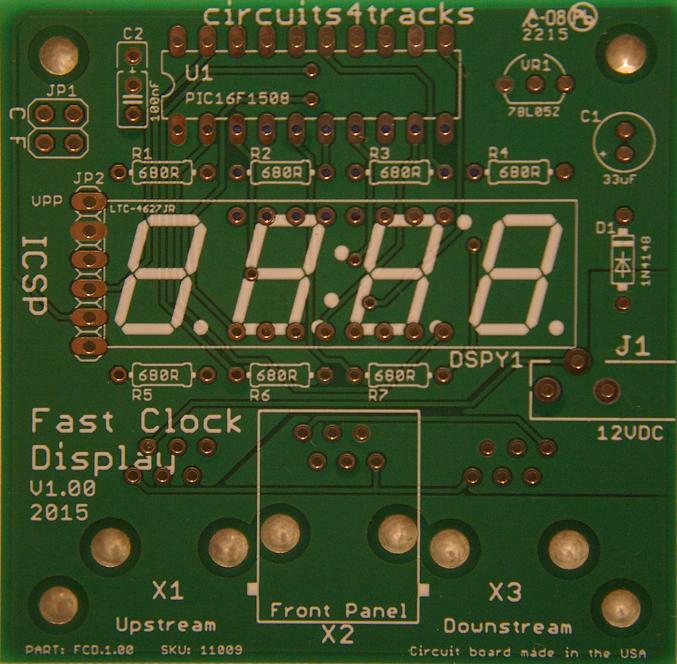 Empty circuit board for one Fast Clock Display. 113 available for immediate shipment.